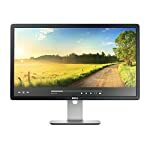 The Samsung S24D300HS is a 24″ monitor that can be found on the Amazon best sellers list, given its low cost its easy to see why people are going for it. 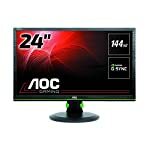 The price of 1080p monitors has really come down over the years and at the time of writing this screen is just over £100. For that money you get a bright vibrant screen with a decent gaming performance. For those on a budget, not looking to push into the realms of high resolutions and fast refresh rates, the S24D300HS is a sound option. The S24D300HS is a shiny glossy black plastic build, the round base is the most notable feature. 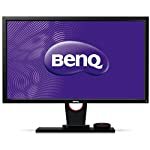 It looks a little like my current Samsung monitor which is very wobbly and reading the user reviews of this model on Amazon it seems that it attracts similar criticism. Although do note that I have not seen this monitor for myself so can’t confirm. Unlike my Samsung though this one does have a tilt option so that’s something in its favour, do note that is on the stiff side and requires some faith when adjusting. That’s the only adjustment you get though. HDMI and VGA ports are included. However there are no inbuilt speakers. 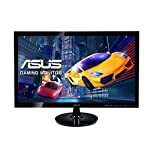 Owners of this screen report back a positive experience citing a clean and clear image quality with the fast response times making it suitable for gaming. Remember at this price you are getting a maximum refresh rate of 60hz and no adaptive sync technology built in. But you get what you pay for. The out of the box brightness is on the high side so you’ll want to use the built in controls to tone this down once you get it up and running. Viewing angles are limited but this is often an issue with TN based screens, unless you move to the more expensive solutions, such as IPS panels, you’re going to have this problem. It should be fine as long as you sit square on in front of your monitor. We give the Samsung S24D300HS a 4 out of 5 rating. Want to know what existing owners of the monitor think? You can read real user reviews here. 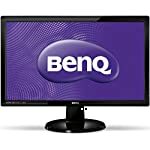 Should I buy the Samsung S24D300HS? Official Site : The Samsung page. Welcome to the Samsung S24D300HS FAQ. This section attempts to answer common questions you may have, please get in touch if you have any more queries or if you think our answers need updating. Nope, looks like no HDMI cable is included. You might have one stuffed in a drawer somewhere else you’ll need to buy one.